This PowerPoint has 170 slides with all of the 1-12 math facts and their partners. This is perfect for the beginning of the year to assess which multiplication facts your students know, and which ones they still need to practice. Currently the PowerPoint is set to advance each slide in 3 seconds (or on mouse click). You can choose to change the wait time per slide if desired. 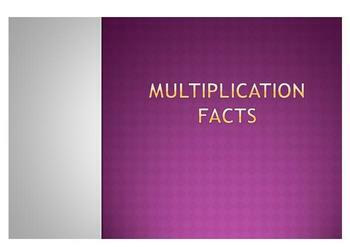 In addition to using the PowerPoint, I will include the answer key of the facts in order with the PowerPoint under the title Multiplication PowerPoint- Math Facts Checklist. 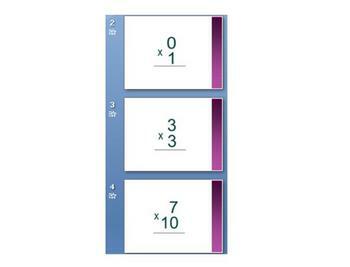 *** PowerPoint 11Ã¢ï¿½ï¿½s and 12Ã¢ï¿½ï¿½s fact slides can be easily deleted if not used in your grade level.